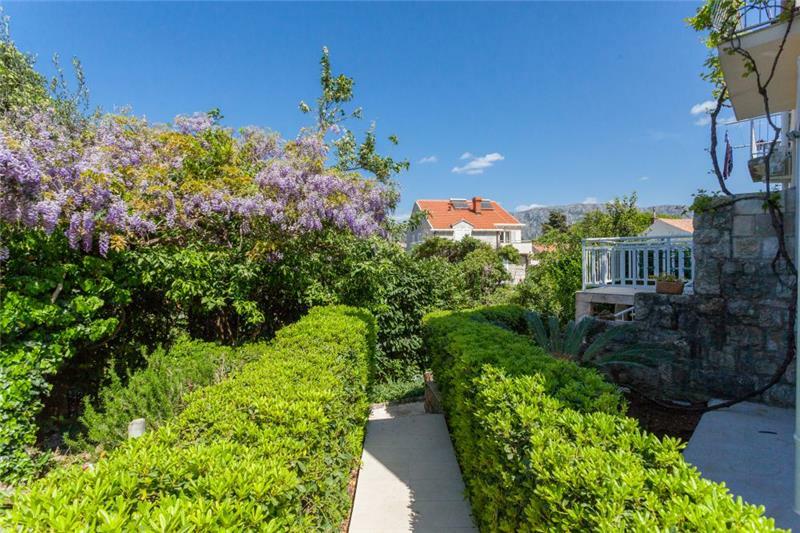 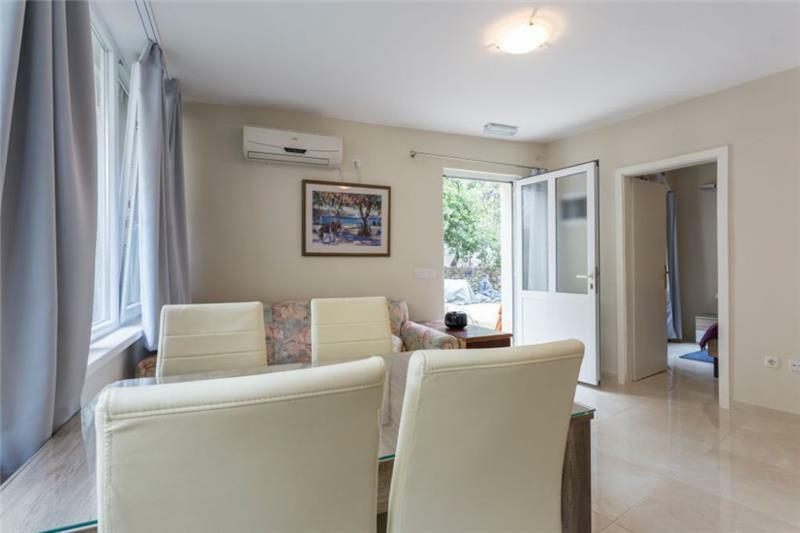 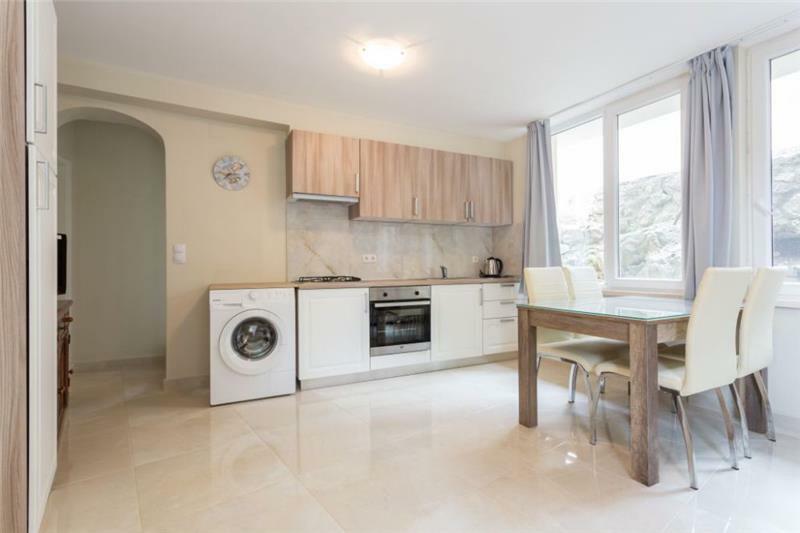 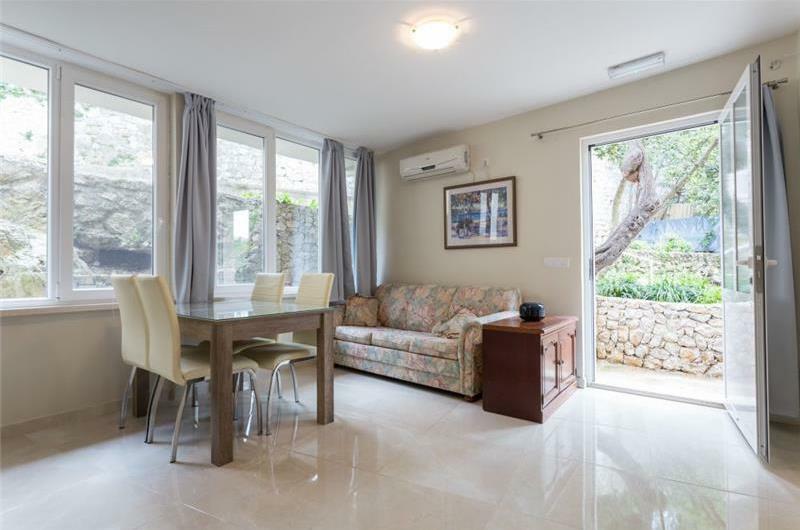 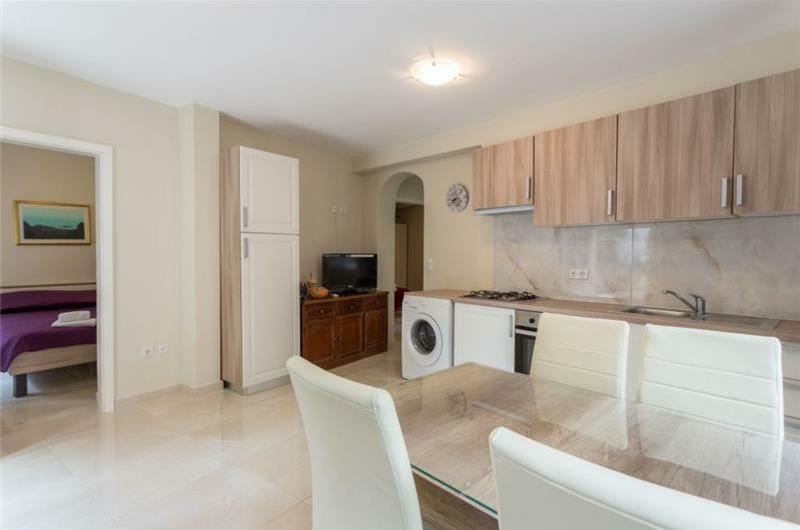 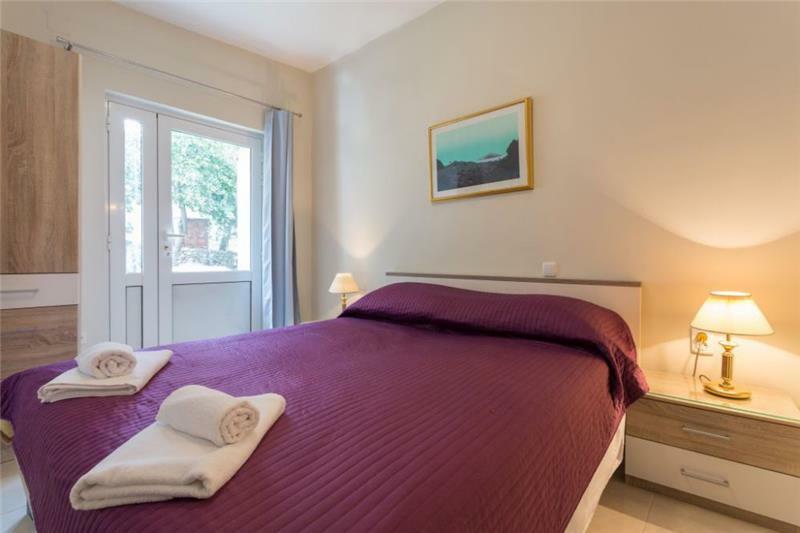 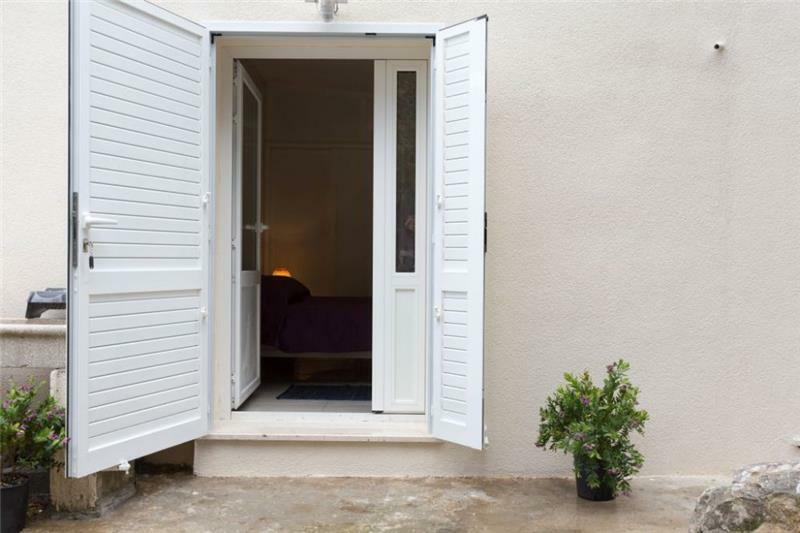 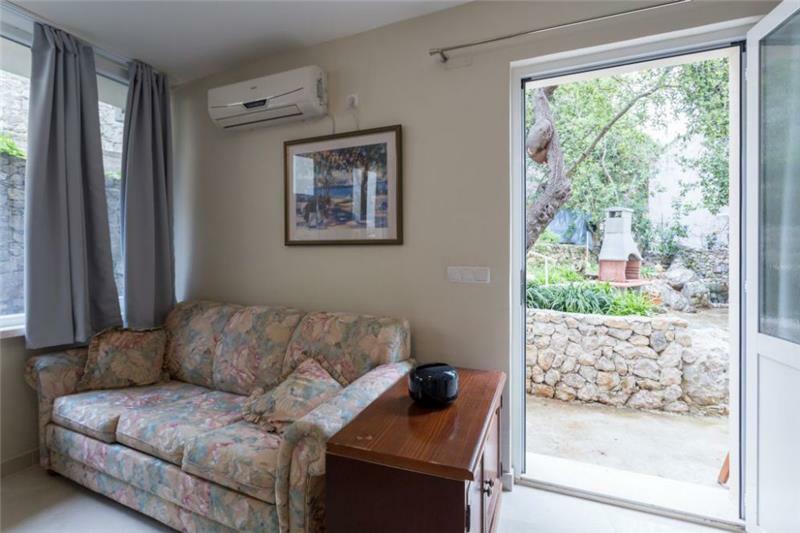 One of three apartments situated next to a beautiful park in the Lapad Bay area of Dubrovnik City, this spacious two bedroom apartment combines the best of a city break to the famous Old Town with the peace of a quiet seaside area. 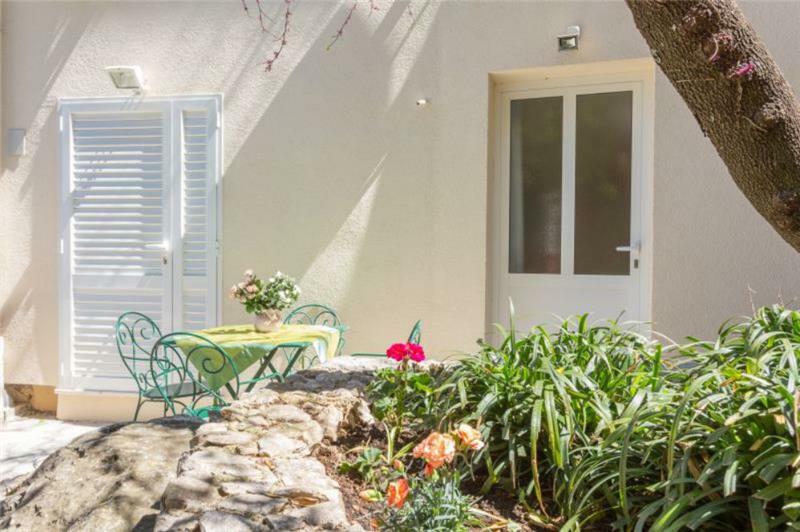 The apartment can be booked for 4 persons, making it ideal for a small family or couples, or combined with two other apartments in the same villa, DU116 and DU058, sleeping up to 16 persons total. 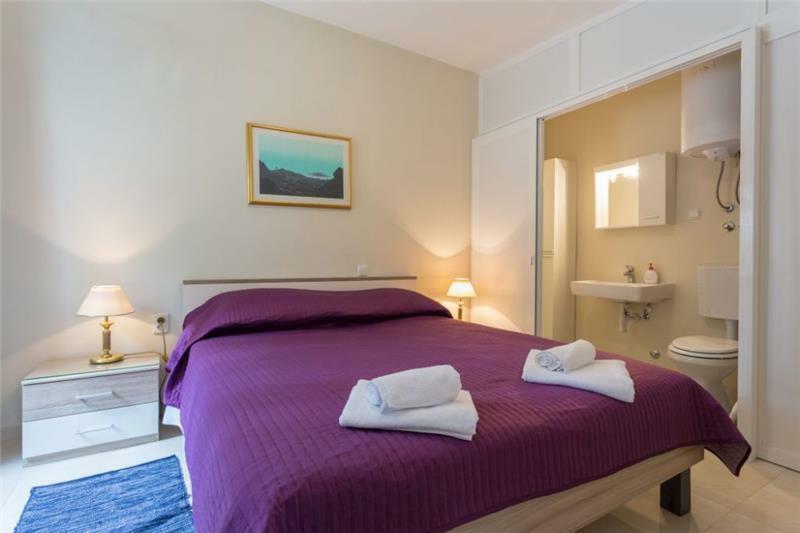 The apartment is situated on the first floor of the villa and has been renovated to a comfortable standard. Guests enter from the gated parking area up stone steps into the garden, and then up external stairs to the entrance into an open-plan living-kitchen-dining room. 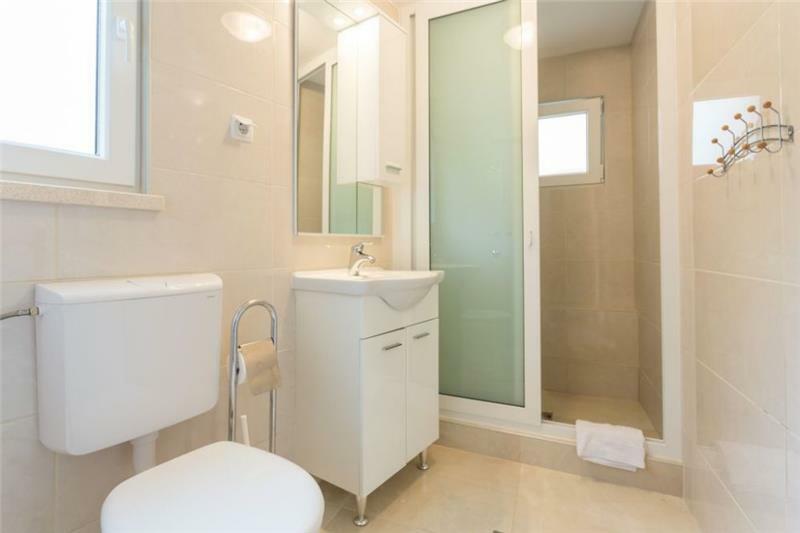 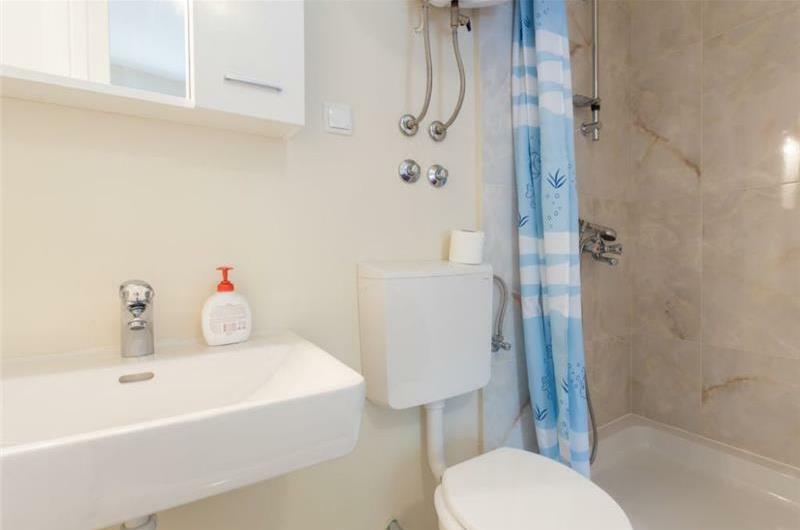 Two double bedrooms complete the apartment, each with ensuite shower room. 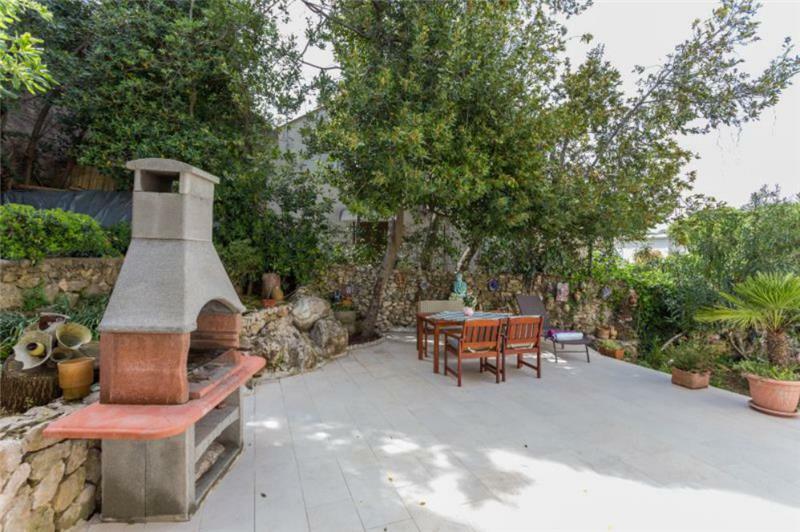 The shared grounds and gardens are furnished with dining tables and chairs and have a stone built BBQ for guest use. 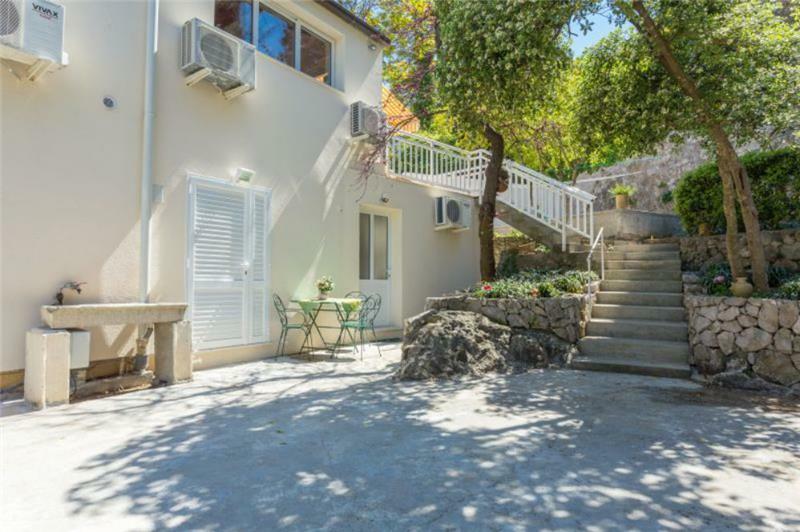 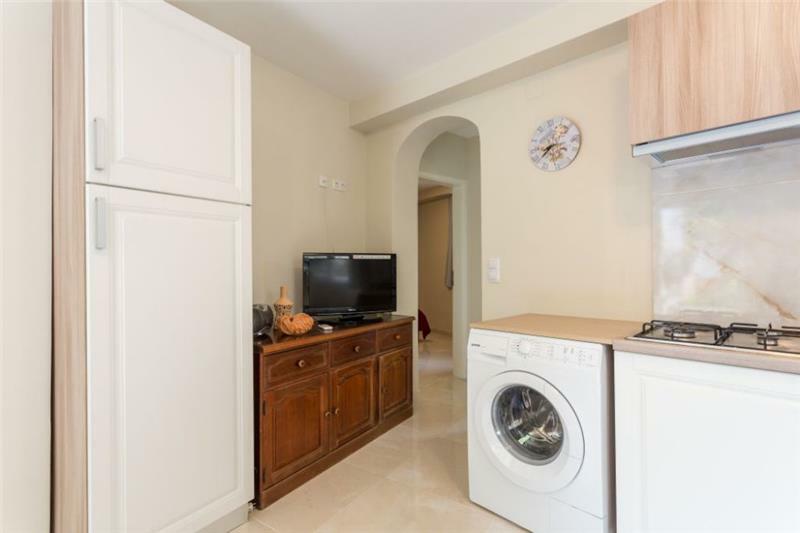 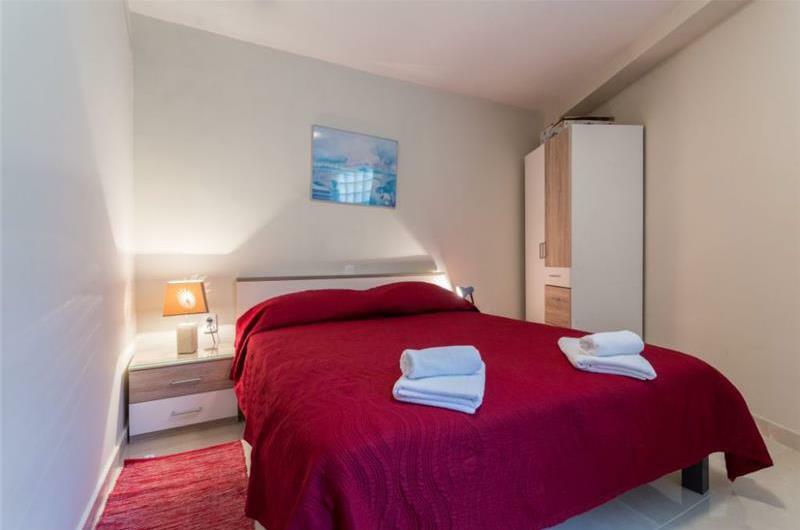 Within easy walking distance of the beach and with stunning Dubrovnik Old Town and other facilities just a short bus ride away, car hire is not necessary at this apartment. 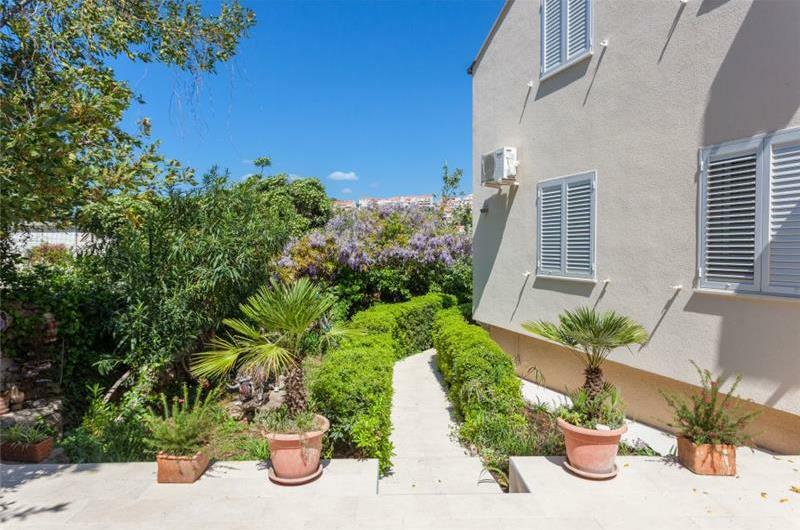 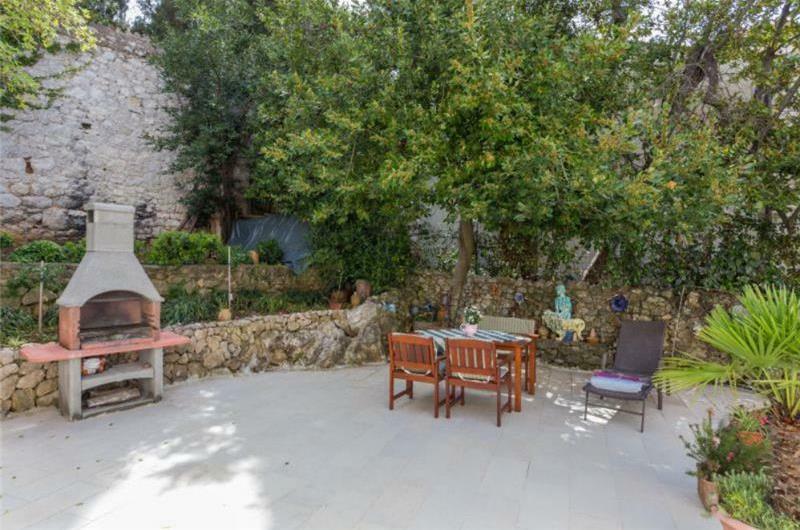 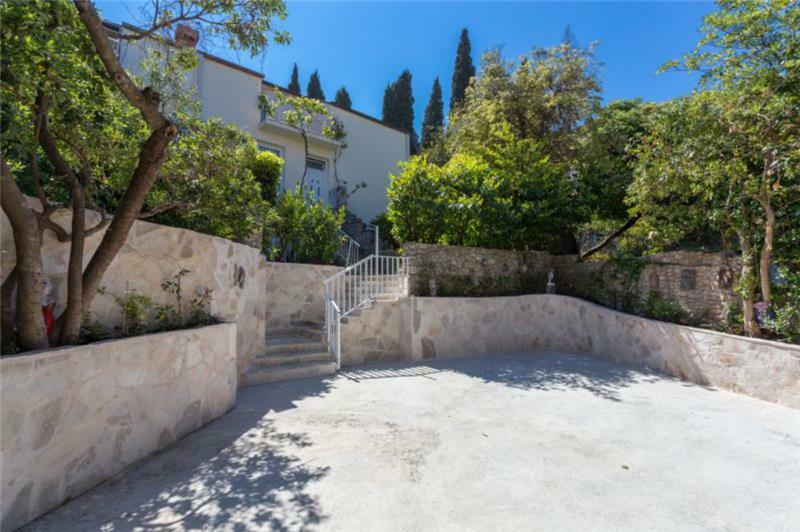 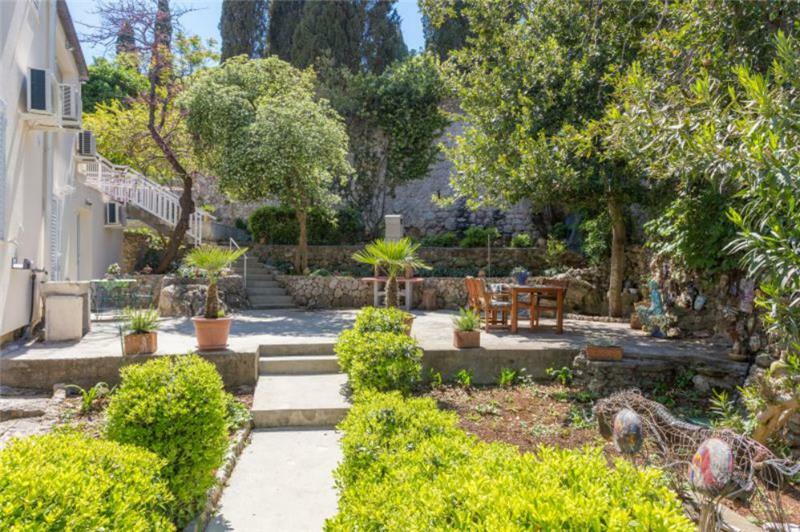 The property offers guests the opportunity to be by the sea and the beaches of Lapad as well as being located within easy walking distance of restaurants, a rare find in such close proximity to Dubrovnik Old Town. 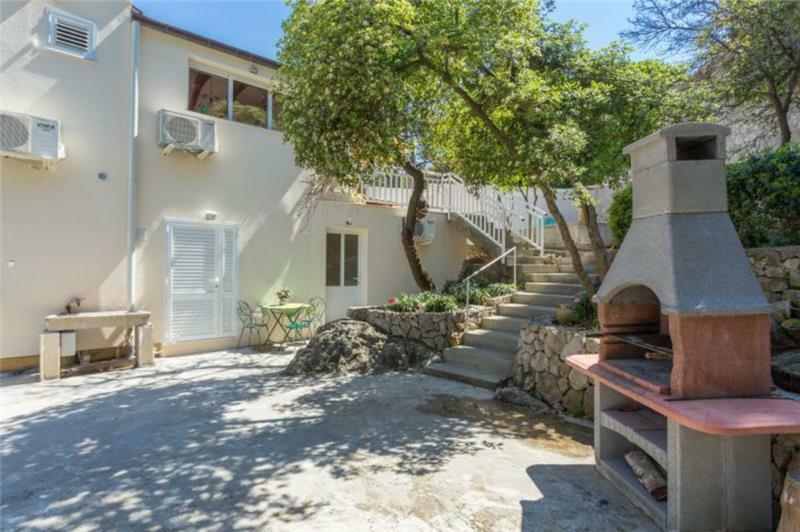 01 July - 01 Aug.
01 Aug. - 01 Sept.